Pattern adjustments got you stymied? Learn what to look for and how to achieve a well-fitting garment. Alterations will be demonstrated for figure variations for the bust, hip and shoulders plus for difficult posture variations along with the criteria and methods for achieving a good fit. 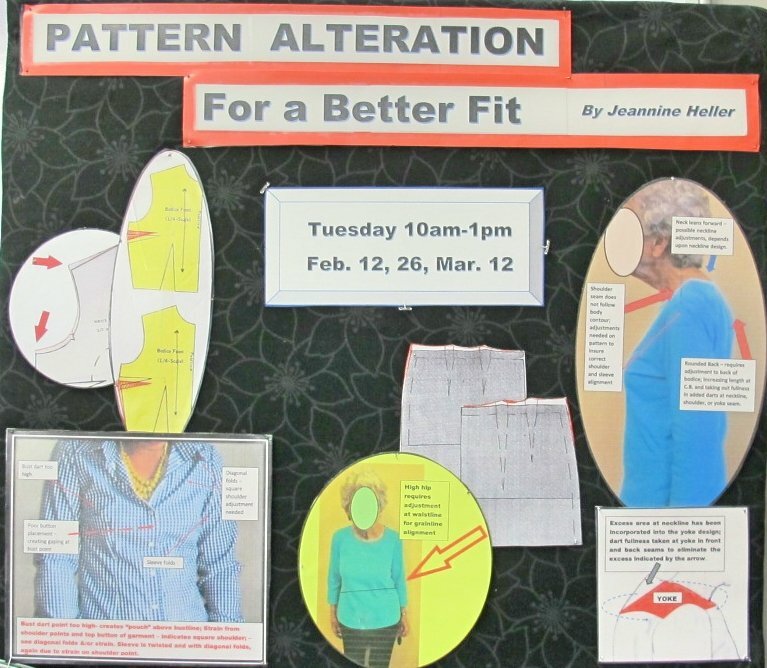 Students will have an opportunity for personal fitting with their commercial patterns during the last class segment.